Hello wedding season! Last Saturday, 30th November 2013 I was supposed to attend 3 weddings with the husband. However, since the husband was down with fever since last Thursday, we only managed to go to one wedding that Saturday. The husband felt a bit better late on in the afternoon so we decided to go to at least one and we arrived late due to the bad traffic that day. We attended the wedding of Encik Thariq Abdullah and Adiebah. I sat with Wan Sharina and Susanah Ng. Had fun catching up with Sharina reminiscing about our crazy days working without sleep and going back earliest everyday at 12am and our experiences for an urgent case we were in charge of. Memorable experiences being 'chauffeured' in a private jet and travelling to Indonesia and Singapore for work together. At one point, we were in both countries in the same day, to give you an idea of how urgent it was. Crazy to the extreme workaholic times. I wore this midnight blue modern kurung. The colour is really sleek and some how feels 'powerful', especially in the day time. It would also look very nice during night time. I like the fact that it can be worn separately as a skirt and a blouse. I've always loved to mix and match my modern kurung with other items in my wardrobe. Since it was a wedding event, I wore the pieces together, wore a red scarf and I matched the look with the vintage leather clutch I found in my mother's wardrobe. Wore the white heels just because it pops out. and behold, they are in darkness. And the sun runs on its fixed course for a term (appointed). That is the Decree of the All-Mighty, the All-Knowing. till it returns like the old dried curved date stalk. It is not for the sun to overtake the moon, nor does the night outstrip the day. They all float, each in an orbit." Hi sis, u look stunning in dat baju kurung. and the red color tudung really pops the whole outfit! Thank you dear. Alhamdulillah. I wore a size S.
Assalamualaikum sis. Can I just say WOW!? 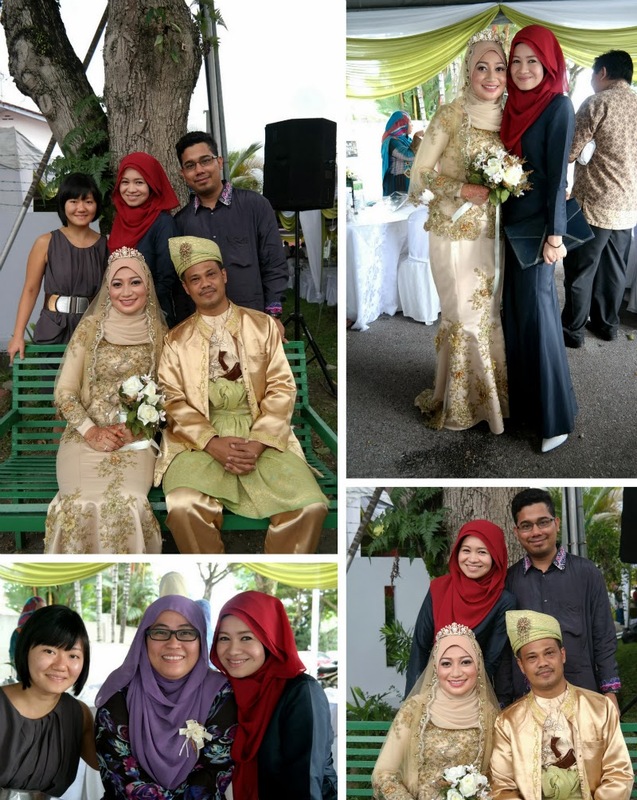 I checked out the baju kurung online and would have never bought it until I saw how gorgeous you made it look! Did you have to do any alterations?